Excess weight…if you want to take it off and keep it off a healthy metabolism is your best friend. It’s about making sure your metabolic motor (your metabolism) is running smoothly so you do not have to become a yo-yo dieter on a never ending merry-go-round of weight loss/gain. Losing weight is like running half a marathon. You are only half way there. You must change your metabolism right down at base level or you will continue to gain weight and as the years pass it will only get worse.This jeopardizes not only your looks but your health is at risk because being overweight increases the risk of al disease. Strength training is by far the best answer to resetting and boosting your metabolism so it can burn more fuel around the clock. It is vital in cases of slowed metabolism as it may be that way if you have not been doing enough muscle building and maintaining activity. 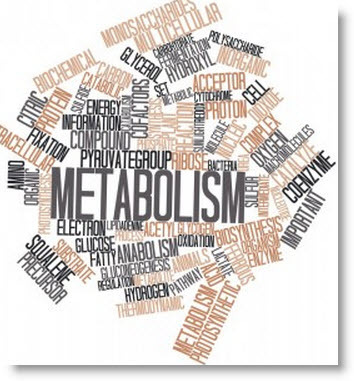 Metabolism refers to the chemical and physical reactions occurring in all of your body’s tissues from breaking down food into energy and repairing and replacing old worn out body cells and tissue. These processes allow you to build strength and stamina, maintain a healthy weight and build resistance to aging and disease. Your muscles are the engine of your metabolism and without strength training exercises the repair process for your metabolism will be a very long difficult process. Old fashioned diet programs use harsh metabolism-slowing restrictive food diets and not enough proper exercise (almost never any strength training). The goal is to get your metabolism boosted and keep it going so your body becomes fat resistant just like those athletes we admire so much. Cutting calories, exercising incorrectly or infrequently is not the answer. Regular strengthening metabolism boosting exercises supported by a metabolism simulating natural ‘whole’ food healthy eating plan need to be done consistently. Nothing will undermine your re-building efforts like inconsistency. Don’t confuse your body by stopping and starting, skipping meals and missing workouts or you will never get off the ground. A regular strength training program will do more than just kick-start and keep your metabolic engine strong and humming; it also works to keep our bones strong. The focus of modern exercise programs is the importance about what happens after the exercise session rather than what happens during it. We are not interested in boosting our metabolism (our body’s engine) our interest lies in burning calories while we are performing. Today things have changed and strength training exercise is the number one type of training in gyms around the world.We know that muscle tissue is what drives the metabolic rate so the emphasis is now on greater fat burning every single minute of the day and night. 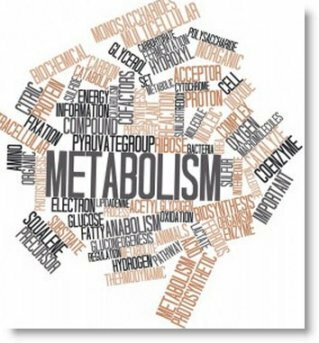 A well-honed metabolism/body engine can bolster your fat-burning and fitness-training regimens in significant ways whereas a sluggish metabolism can put a damper on your most valiant weight-loss efforts. Take this 1 minute test to find out how you fare on the Weight Loss Resistance Scale. Weight Loss Resistant test.